Karan Johar bringing back the iconic Bollywood couple of Madhuri Dixit and Sanjay Dutt in his next period drama Kalank can be touted as one of the biggest casting coups of the year. The duo will be seen sharing the screen space almost after a gap of 25 years and their coming back together has taken us back to the era of the 1990s when both of them created headlines not just for their work but for their alleged relationship. 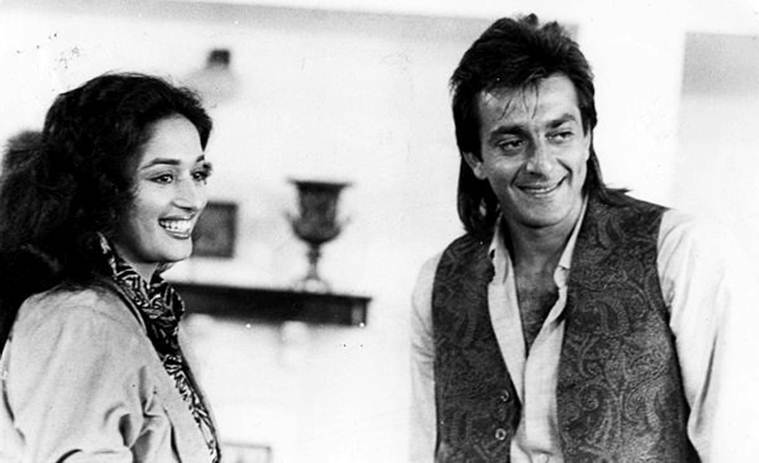 Back in the 1990s, dancing diva Madhuri Dixit and the Khalnayak of Bollywood Sanjay Dutt were allegedly in love. Before and after the release of their film Saajan in 1991, the two superstars of the era became the subject of the cover stories of many film magazines. There were many who reported about the camaraderie of Madhuri and Sanjay on the sets of their films. Sanjay and Madhuri starred in Khatron Ke Khiladi (1988), Ilaaka (1989), Kanoon Apna Apna (1989), Thanedaar (1990), Saajan (1991), Khalnayak (1993), Sahibaan (1993) and Mahaanta (1997). There was a time when Madhuri without any inhibitions talked fondly about Dutt in her interviews. An excerpt from Yasser Usman’s book ‘Sanjay Dutt: The Crazy Untold Story of Bollywood’s Bad Boy’ mentioned Madhuri’s quote on Dutt from her earlier interviews. “My favourite partner is Sanjay Dutt, he’s a real joker…and his stories make me laugh all the time, but he is also a gentleman,” told Madhuri to an interviewer. To another, she said, “Sanju is a fantastic person. He has a loving heart and, in contrast to the widely held view, a good sense of humour. He is the only guy who makes me laugh all the time. He does not play games. He is open and uncomplicated.” Her interviews led to strong whispers of a mutual attraction between the two though nothing was said officially either by Madhuri or by Sanjay. But, within fifteen days Richa returned to New York and gave another interview and said, “I love him with all my heart. Whatever happens, I will always stand by him. He treated me very shabbily when I came down to meet him.” Her sister Ena Sharma, in an interview with CineBlitz in December 1992, blamed Madhuri for her sister’s separation with her husband Sanjay. “Madhuri is so inhuman…I mean Madhuri can get any man she wants. How can she go for a man who’s behaved in such a way with his wife?…I know they are good friends because he’s called her from our house. And he does talk to her brother and her sister here. But we never looked at it as if “okay the guy’s involved with Madhuri”. We’re very open, we’ve always given Sanjay his space,” she was quoted as saying. However, their much-talked-about relationship took a different turn when Sanjay was arrested for illegal possession of arms in 1993 Mumbai serial blast case. 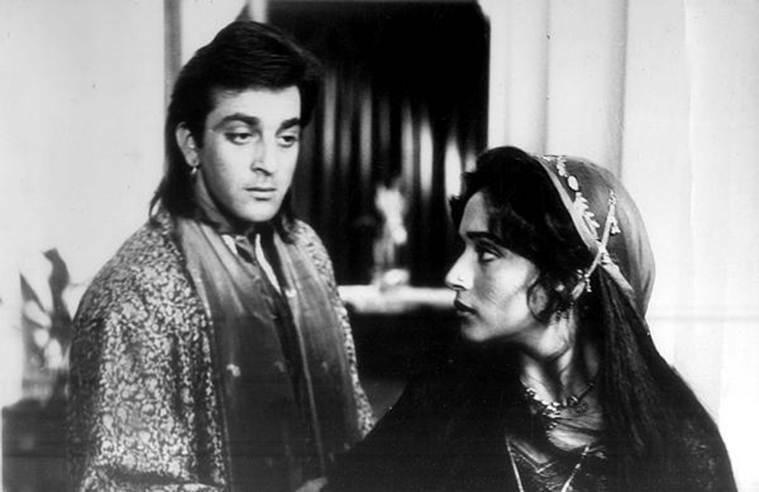 Madhuri decided to entirely dissociate herself from Sanjay after the latter was imprisoned. With so much being said about the actors and so much written about them in the past, the fans of this iconic couple are waiting to see them share the frame once again in Kalank which will hit theatres on April 19, 2019.